Hey there! I never mean to take such long breaks but time just won’t slow down! 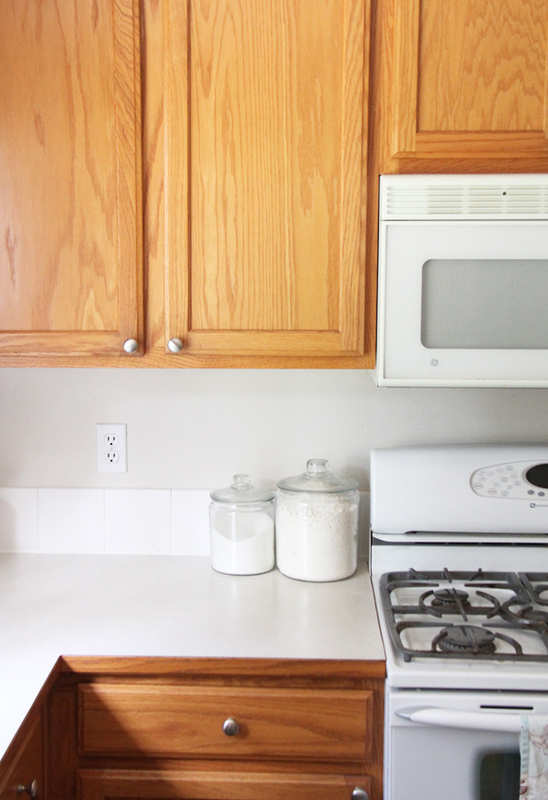 We are in the midst of updating our kitchen and it has sucked the life out of me! I spent every free second of the past two weeks painting these honey oak cabinets and ripping out counter tops, tile, and appliances. I’ll show you when it’s done if I live to tell the tale. Before I started ruining our kitchen I made a quilt while I was binge watching The Good Place on Netflix. I used the One Way pattern, chose an aqua background (Ice Frappe, Kona Cotton), and some of my favorite colored prints I’d been saving. That globe print by Erin McMorris is so fun. 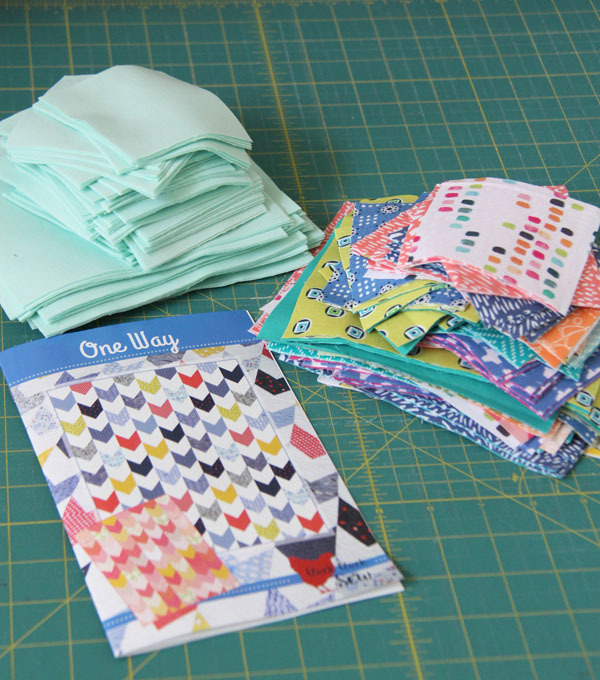 A lot of the other fabrics are from the line Aria by Windham Fabrics mixed with random prints from my stash. The One Way pattern can be found here: (link to the PDF, link to the Paper version). What color are you painting those cabinets? That is quite a job. I know. It goes on and on. Wouldn’t it be wonderful if you had a magic wand? or put your kitchen on the laptop and go to the paint store and try different colors, then press done and BAM! It is lots of work and yes…I need a magic wand or a budge to pay someone else to do it! ;) I’m painting the top white and the bottom gray, and luckily they are done and they look beautiful! We are just hanging them now. 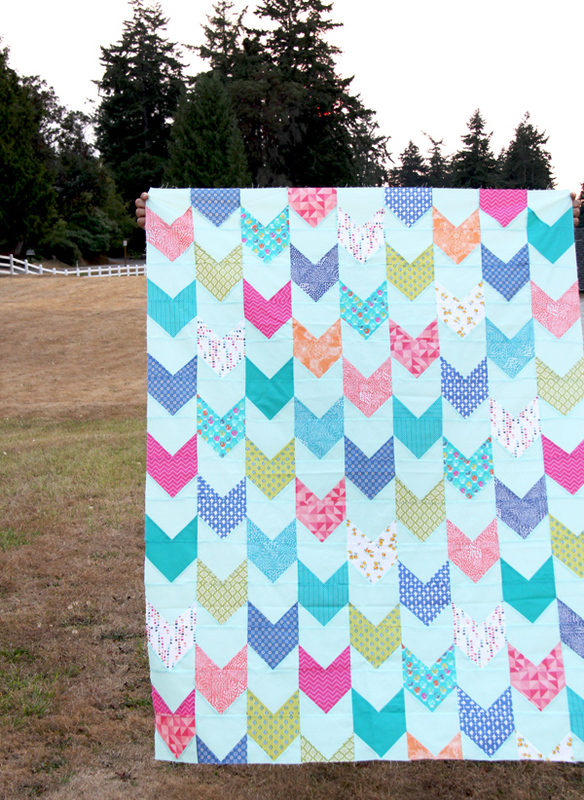 Yay for captured sewing time and a finished quilt top! Remodels are exhausting. I spent two months this summer updating some rooms at my mom’s house and thought it would never end: new carpet, fresh paint, an evap cooler, light fixtures, on and on! Looks good, though. Hang in there, can’t wait to see the new kitchen! Hi Marilyn! 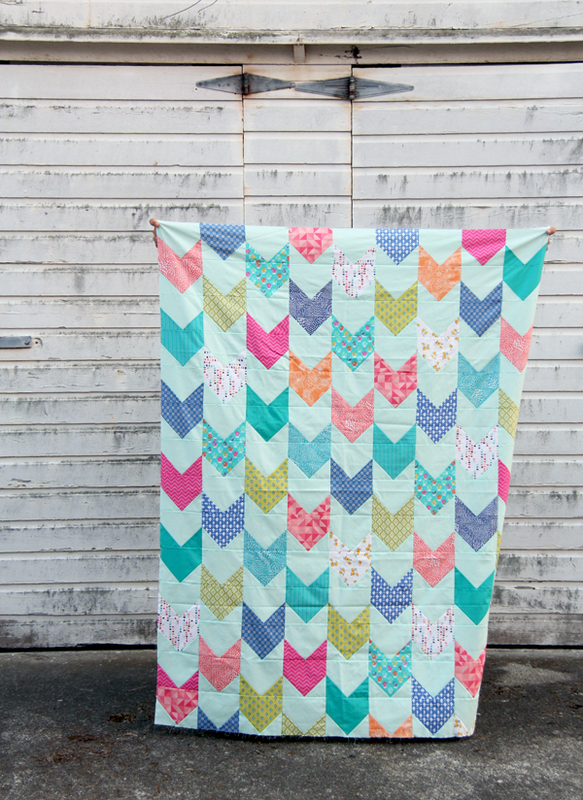 Email me at cluckclucksew@gmail.com and I can help you! It’s beautiful! Good luck with the kitchen! I just finished watching the good place (here in Canada we only have season 1–do you have both seasons on the American Netflix?) I don’t really know if I liked it but I couldn’t stop watching it! silly!… I even had to google what happens in season 2 because it was bugging me not knowing :) Maybe I did like it! 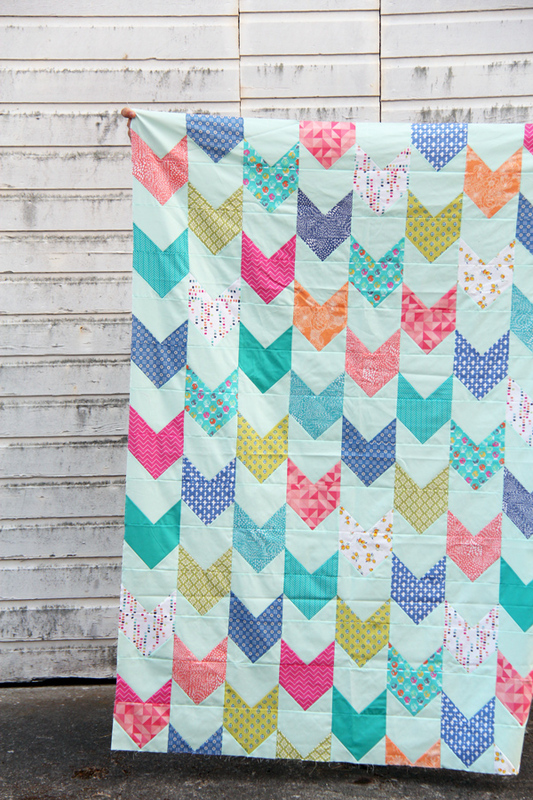 I know one thing for sure– I like that quilt! Haha “If I love to tell the tale.” That’s exactly how I felt about our kitchen remodel! Never. Again.